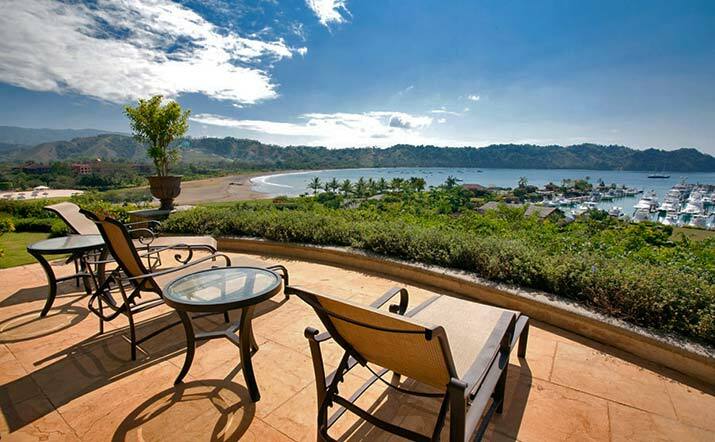 We found 15 vacation rentals in Los Sueños based on your filters. 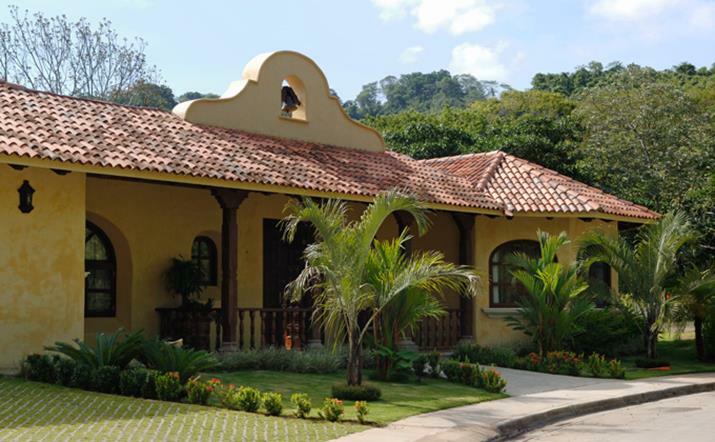 Villa Malibu was built in Spanish colonial style and is located in the exclusive neighborhood of Altamira, overlooking the Los Suenos Marina and Herradura Bay. The private infinity pool and jacuzzi are surrounded by lush tropical landscaping. The spacious interior is built with the finest materials and appointed with luxury finishings. Life doesn't get better than this. 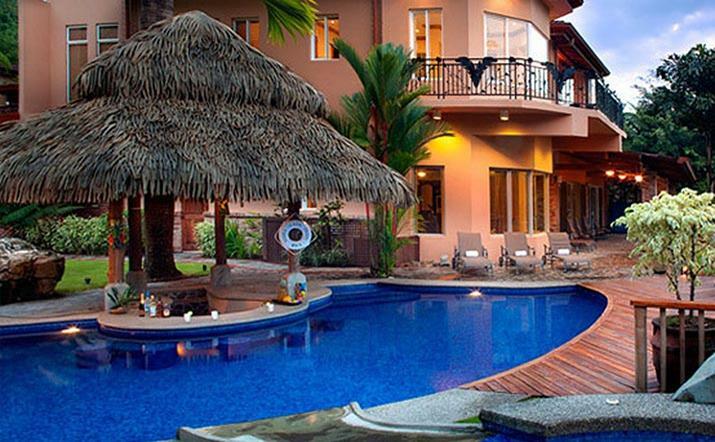 Casa Mono Loco has earned it's reputation as one the most exotic and romantic Shangri La spots in all of Costa Rica. This unique and magical compound has one of the most commanding views in all of Los Sueños and enjoys exceptional privacy, surrounded by jungle green space that is teeming with Costa Rica's most beautiful birds and wildlife. Every room has a spectacular ocean view. 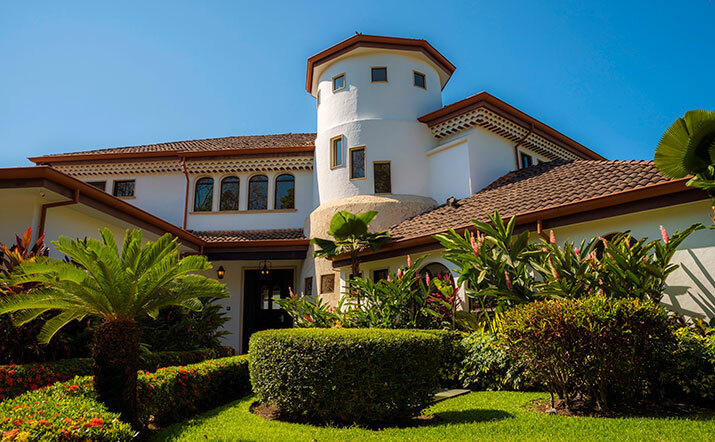 With over 9,100 square feet of luxurious living space, a private pool, wonderful landscaping and superior finishes, this single family villa offers sumptuous comfort in a lush tropical environment. It was designed for big families, corporate clients or large parties that want a stylish home setting with private amenities. Villa La Joya is located in Alta Mira, the most exclusive area of Los Suenos Resort, is centrally located and features breathtaking views. 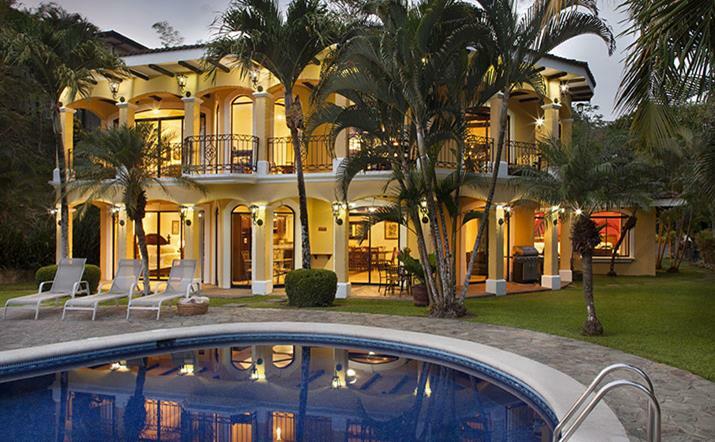 Casa de Suenos is an incredible 8,059 sq. ft. private executive retreat built and staffed specifically for the entertainment of family, friends, or both large and small corporate outings. The â€œHouse of Dreamsâ€ is truly a one of a kind property within the gated Los Suenos resort within walking distance to all amenities. 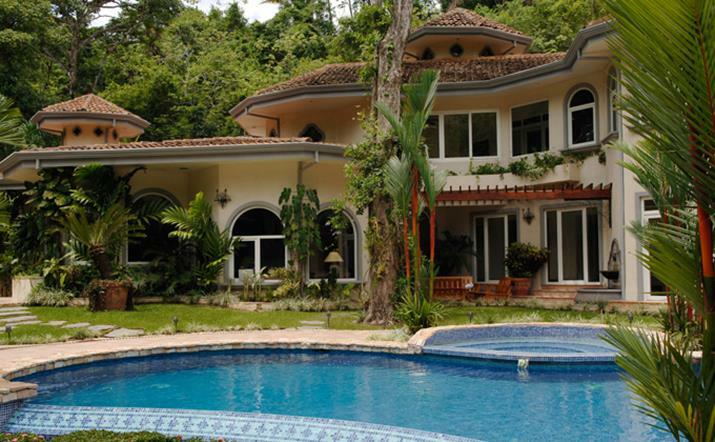 Casa Puesta del Sol is a beautiful five bedroom home located in the mountain top neighborhood of Vista Tres Bahias in Los Suenos Resort. 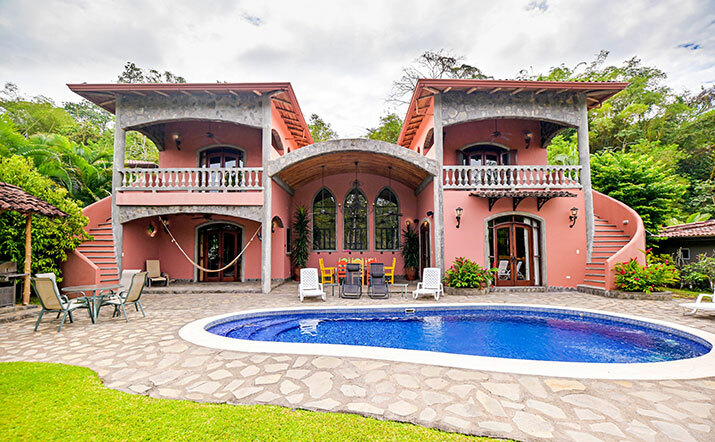 With an elegant design and stunning panoramic vistas of the three different bays and the rainforest this home is ideal for families and groups that want to have a private house within Los Sueños with privacy and the best views. With panoramic views of the entire resort, Herradura Bay and the Pacific, the public areas of this quiet neighborhood within Los Sueños’ Vista Bahia community feature the elements of modern and eclectic Spanish colonial revival architecture: low clay-tiled rooflines, stucco exteriors, courtyards, and water features. Formal terraced gardens and manicured lawns slope down from the coconut palm-lined pool. 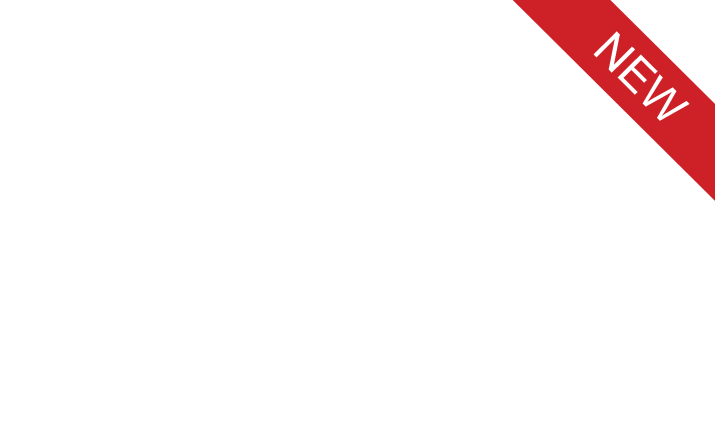 The resort’s busy hub, with all the amenities of a first-class facility, is nearby. 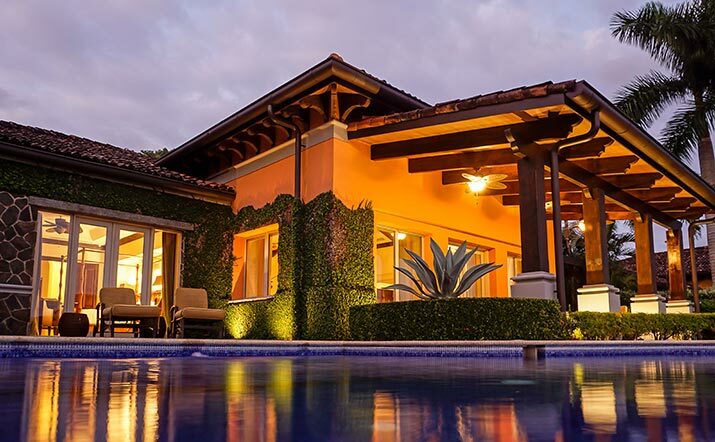 Situated within Eco Golf Estates, inside the Los Sueños Resort & Marina, Casa Vista Paraiso is a sprawling 8,950 square foot retreat, custom designed with only the most discerning tastes in mind. 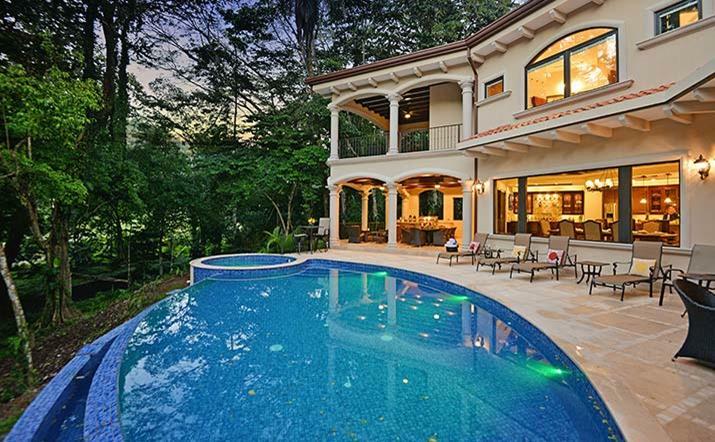 A rain-forest oasis overlooking large 100-year-old trees, as well as the golf course greens, this beautiful Costa Rica manor is perfectly nestled away within the rain-forest; dragonflies, butterflies, monkeys, sloths and toucans its most intimate neighbors. Though secluded and private, this home is conveniently close to the abundance of amenities offered by Los Sueños Resort, all just minutes away by golf cart. Casa Patron offers 5,900 square feet of interior living space and large covered terraces with views of the fairway and Herradura Bay. Amenities include a free-form swimming pools, a large game room with championship pool-table, barbecue area and lush landscaping. Casa Oasis was designed for large families, corporate clients and large parties that want a lush, secluded home with private amenities. 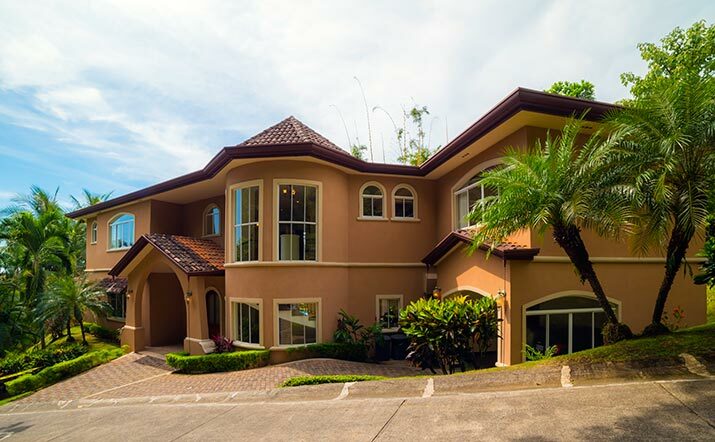 Located above Los Sueños popular Eco Golf Course, this luxury estate home is just minutes from Los Sueños Marina. It is a 6000 sq. Ft. house with 20 tons of central a/c with 4 separate a/c zones. The out door area with sun deck, Jacuzzi and swimming pool is perfect for entertaining. Over 50 fruits plants attract birds and rain forest animals. 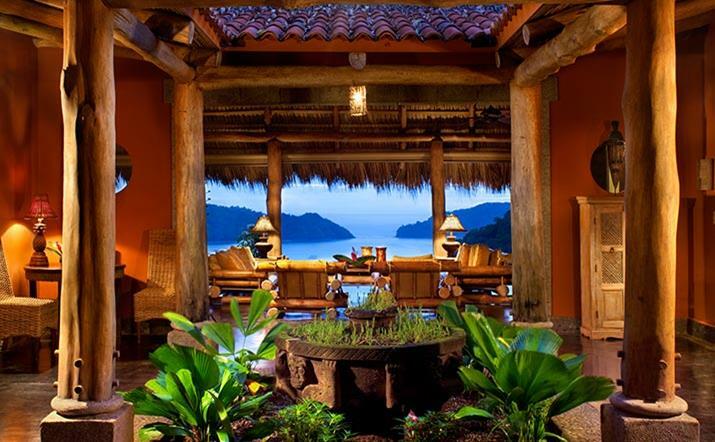 Casa Pacifica is an incredible 5,000 sq. ft. private executive retreat built and staffed specifically for the entertainment of family, friends, or both large and small corporate outings. The location of this home in the hills of Los Suenos Resort provide both privacy and panoramic views within minutes to all amenities. 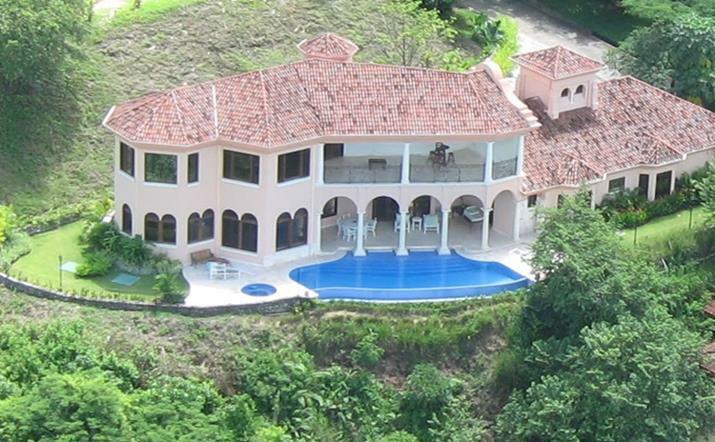 Casa Cielo Azul is an ideal home for large families that want to enjoy nature and spectacular ocean views. The first floor offers a large gourmet kitchen plus laundry room and garage. The spacious dinning and living rooms can accommodate several people.